We work for you, not our broker dealer. As an independent firm with LPL Financial, the nation’s largest independent broker*, we have the flexibility to offer you access to a wide range of nonproprietary products and services as we always keep our focus solely on your wealth management and financial goals. 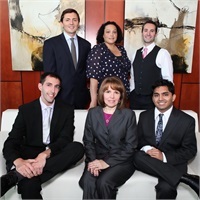 Each of our team members specializes in a different area and works on the clients’ behalf in a concerted manner ensuring the quality of advice and level of service we are providing. We also assist clients in managing their affairs among multiple external advisors. Should a need arise where advice in a particular area requires expertise that Atlas PWA does not provide, such as an attorney or CPA, we will recommend a professional who can assist in this area and work with them to recommend strategies that address a client’s needs. We serve a wide range of clients from young families, pre-retirees, and retirees looking to maximize income and preserve a legacy for their family. Small businesses seeking to maximize the benefits to themselves and employees as well as owners eyeing a succession plan are also part of our client base.